The swaddle debate has become akin to the tummy sleeping debate over the last decade, with research constantly changing and opinions on both sides of the fence divided and flip-flopping frequently. While the most recent research on tummy sleeping has most experts in agreement that infants need to be placed only on their stomachs for sleep; the swaddle debate is a bit more complicated. Swaddling an infant is great way to help with the moro reflex which typically lasts until the age of 4-5 months. The reflex itself is a response to an infant perceiving the feeling of falling, infants are used to a warm, snug environment or being able to constantly feel distinct edges or walls around them. This usually results in a jumping or flailing of the limbs including the baby throwing their arms out to the side or squeezing them to their chest. Swaddling is a great way to help your little one transition from the snugness of the womb to the openness of the crib or bassinet. 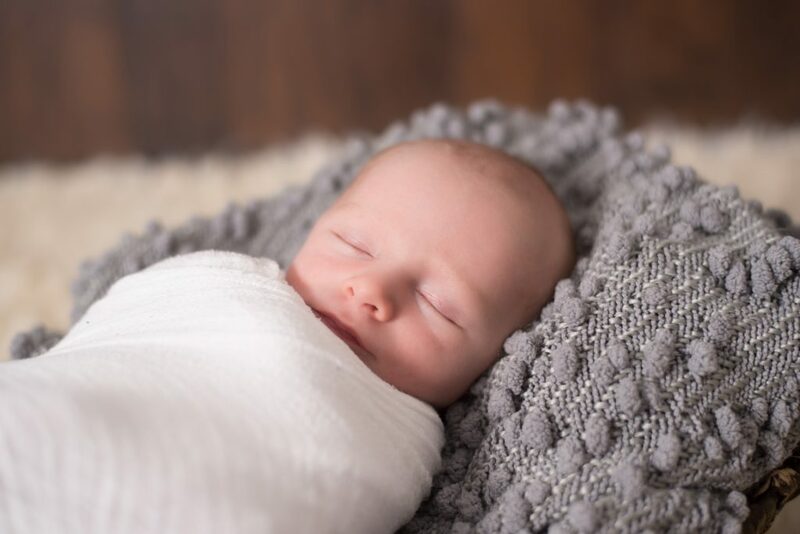 Swaddling safely involves making sure that your baby isn’t being swaddles too tightly and making sure that they are always being placed on their backs when swaddled. ← Strong Willed or Sleep Deprived? You Decide. It’s Free Tip Tuesday!